From ground turkey to sausages to breast tenderloins - turkey can be used all year round and is a great source of lean protein and essential minerals and vitamins. It can be used for any variety of dishes from slow cooker stews to globally inspired dishes, 10-minute stir-fries and one pot meals. Looking for somewhere to start? 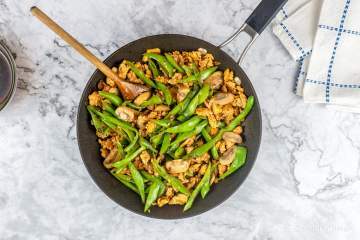 Try these fan favorites - Asian Ground Turkey Stir-Fry, Ranch Turkey Burgers, or Easy Turkey Chili.